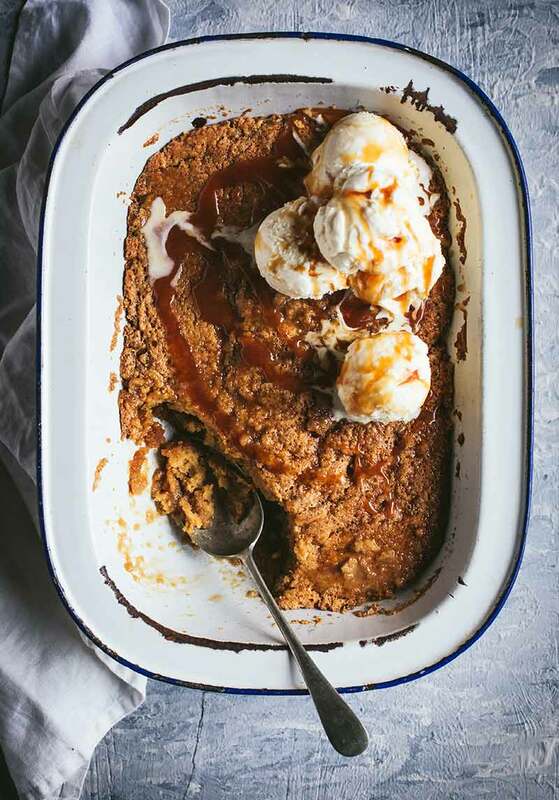 This Butterscotch Self-Saucing Pudding magically splits into two layers while baking; a soft spongy cake layer on top and a dark toffee sauce on the bottom. 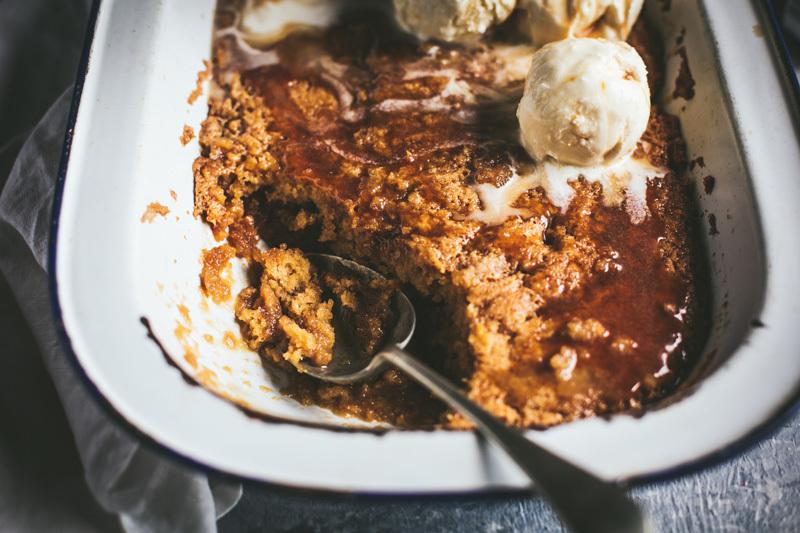 This Butterscotch Self-Saucing Pudding is nothing short of incredible. 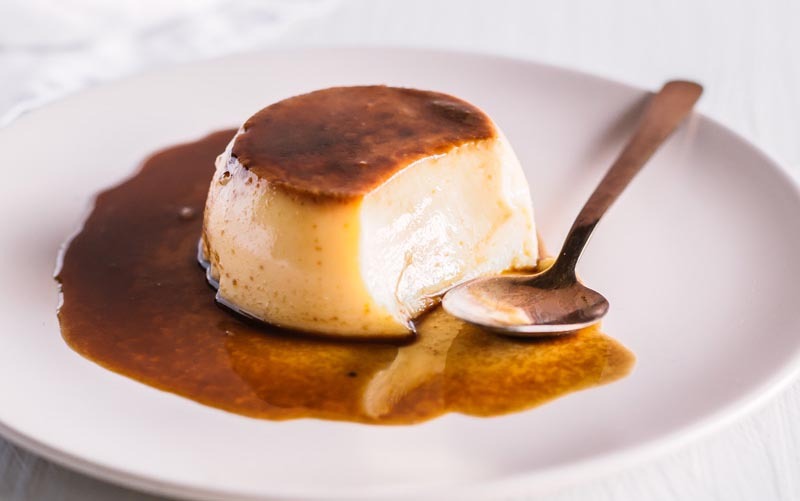 Who doesn’t love a bit of magic with their dessert – this one magically transforms from a watery sauce on top of some batter into a light toffee sponge with a luscious butterscotch sauce underneath. 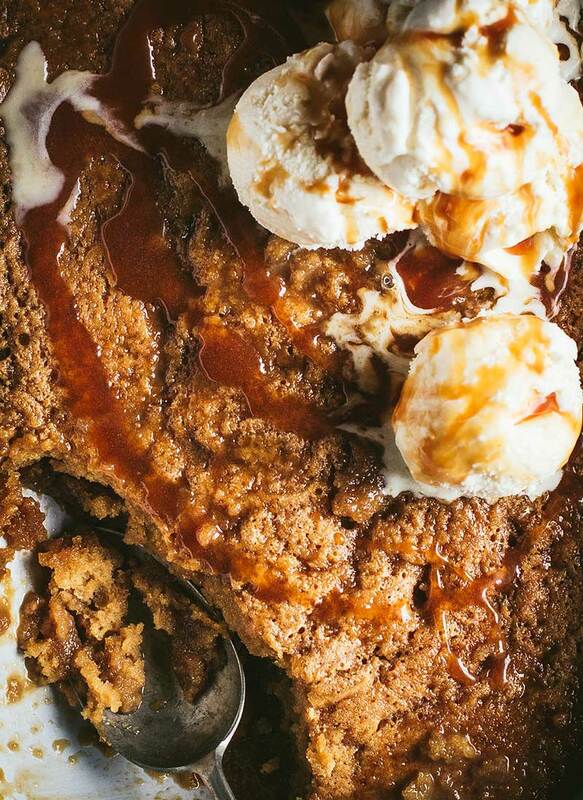 Pure heaven served with copious amounts of vanilla ice cream and some more caramel sauce, because, why the hell not? Preheat oven to 160°c (or 140 for fan-forced). Lightly grease a 1.5-litre capacity ovenproof baking dish. 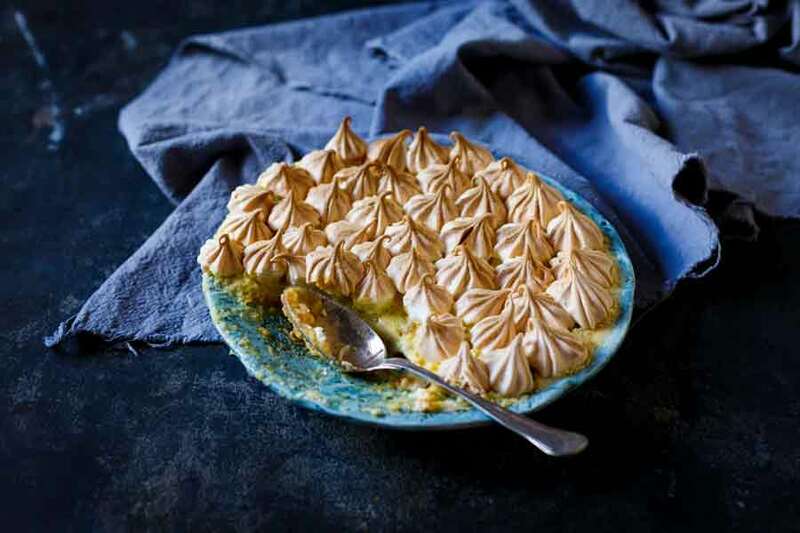 Place the sugar, flour, milk, butter, vanilla and eggs in a large bowl and mix to combine. Spoon the mixture into the prepared dish. Set aside. 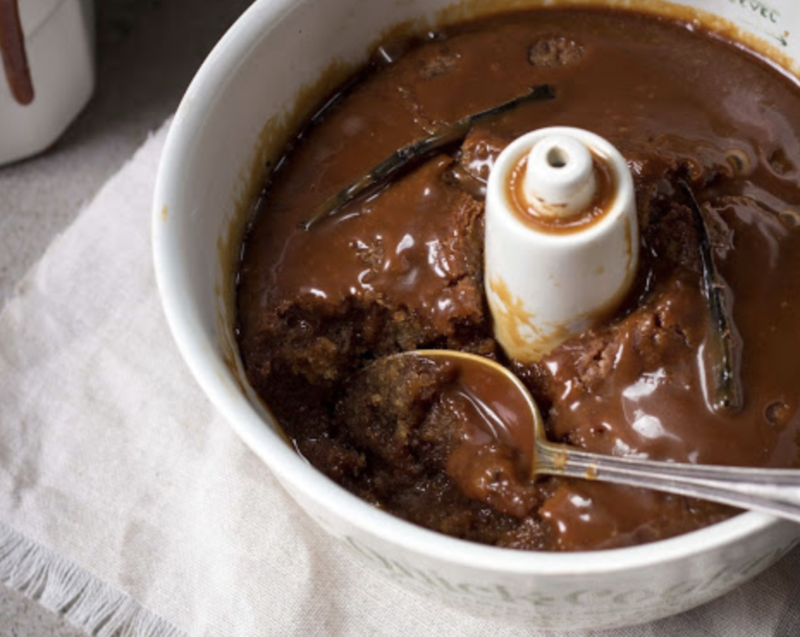 To make the caramel, place the sugar in a saucepan and heat until golden brown and a dark caramel colour. Add the butter and stir until melted, then add the water and milk to the caramel and stir until dissolved. 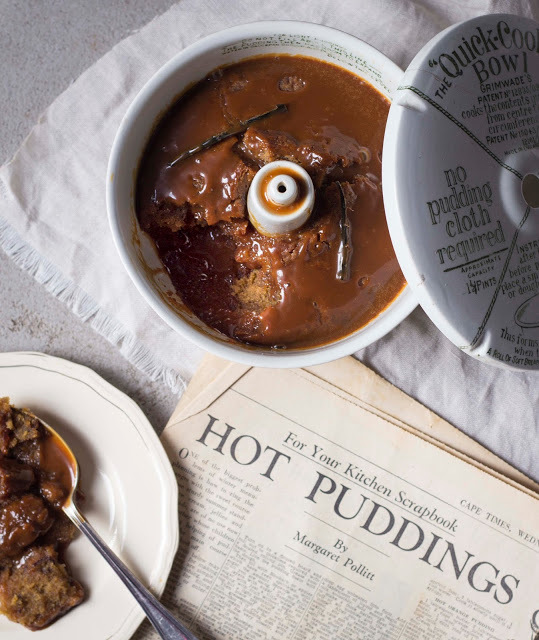 Remove from the heat and set aside to cool slightly. 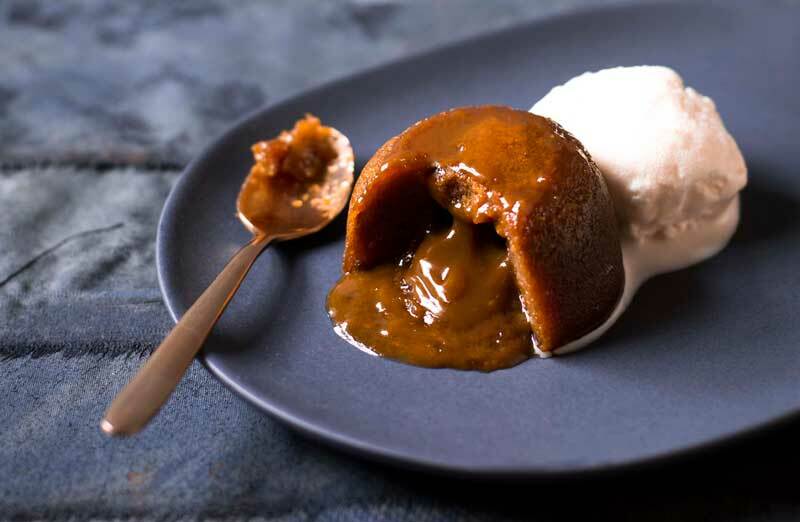 Pour the caramel over the back of a spoon to drizzle over the pudding mixture. 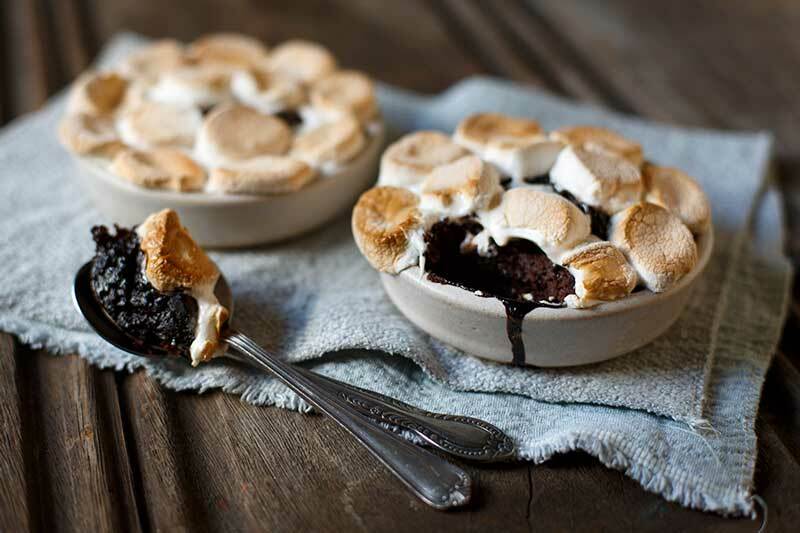 Cook for 35 minutes or until the pudding is cooked through. 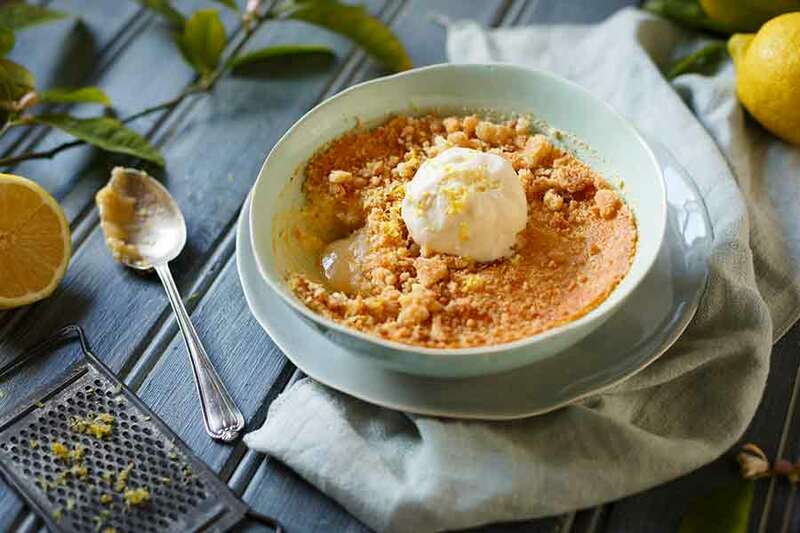 Serve immediately with vanilla custard or ice cream. The caramelised sugar sized into a hard rock as soon as i put the water and milk and butter in! Was that supposed to happen? Hi Reshma, that can happen, but you simply carry on simmering it and the sugar will dissolve into the sauce. When it’s completely dissolved, it’s ready to be used. Hope that helps!